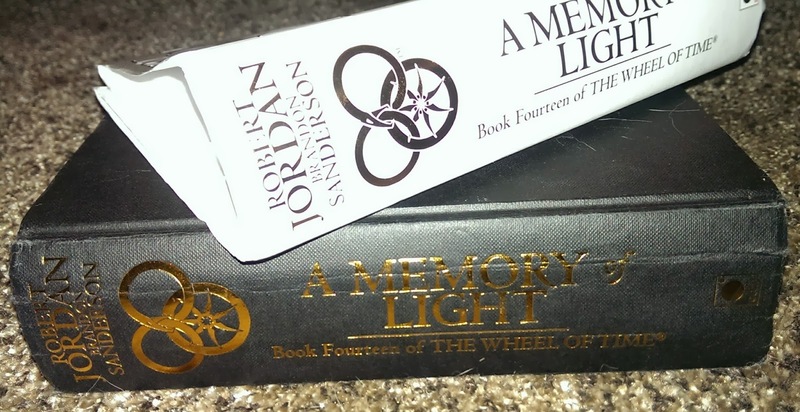 A Memory of Light is the 14th and final book of the Wheel of Time series by Robert Jordan and Brandon Sanderson. All humanity is in peril – and the outcome will be decided in Shayol Ghul itself. The Wheel is turning, and the Age is coming to its end. The Last Battle will determine the fate of the world . . . The book was published over a year ago in January 2013. I bought it immediately, but didn't read it. At first it didn't fit my schedule while writing my thesis and later on I realised I was scared. Both of its size and of whether or not it'd be good. Could it possibly live up to my expectations? Once I finally got started, exactly 1 year and 10 days after it was released, it took me 5 weeks to make my way through the massive epic end to a story I've read for more than 8 years. So so much happens on each and every page. I feel like millions of characters pass through. And every single one somehow matters. The ending is spectacular. And bitter - how can you ever accept the end of something you've held dear for so long? How can anything ever be good enough? But this is good. Very good in fact. I always loved Jordan's books, but they were heavy. 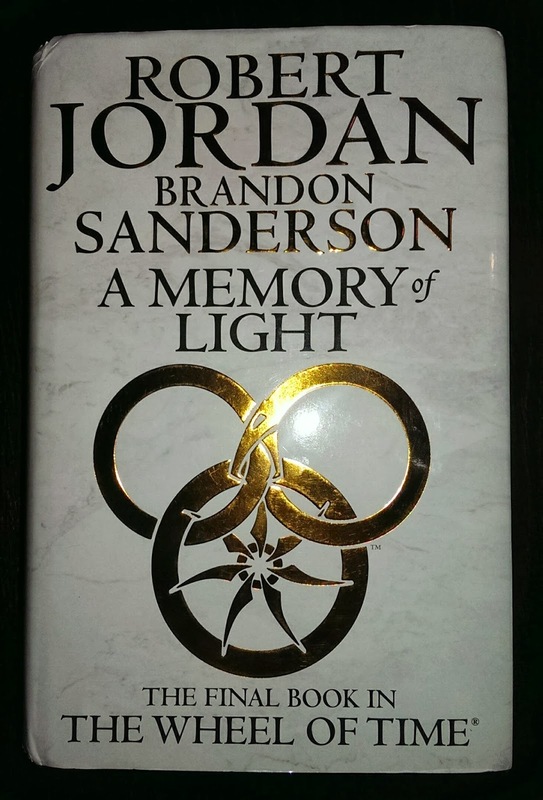 When he died and Sanderson took over I found that I loved the way he wrote the final 3 books. His language is still so masterful, but it's just a lighter read. And yet every bit as intricate. I won't tell you anything of what happens in the book. If you haven't read the previous 13 books, even the slightest hint of this will spoil you those. If you have read them and this too, you already know it all and how on earth can I sum it up anyhow? One of the most important chapters in the book spans 200+ pages. I have no recollection of how many days or even just hours it accounts for. But the last battle was an amazing thing and while I may be blinded by subjective awe of such a massive epic piece of work, I will still tell you this series and this ending is bloody brilliant. My reviews of book 12; THE GATHERING STORM and 13; TOWERS OF MIDNIGHT can be found here should you be interested.